Fireplaces are often the central focus of any room they occupy, if not the central focus of the home. Be sure your fireplace brings not only warmth to your home, but also an element of beauty and style when you use our fireplace screens and accessories. 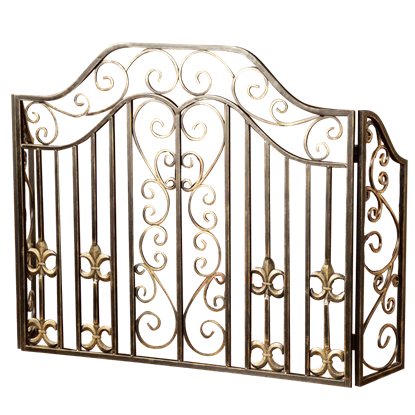 We carry medieval and Renaissance-inspired fireplace accessories here, including fleur-de-lis fireplace screens and Baroque scrollwork fireplace screens made of iron and given antiqued finishes. Whether you are adding an extra touch of historical or vintage style to your home, or simply looking for a unique way to decorate, our medieval fireplace screens and fireplace accessories will bring an element of old-world warmth and majesty to your abode. Few elements of your home deserve as much attention as your fireplace. 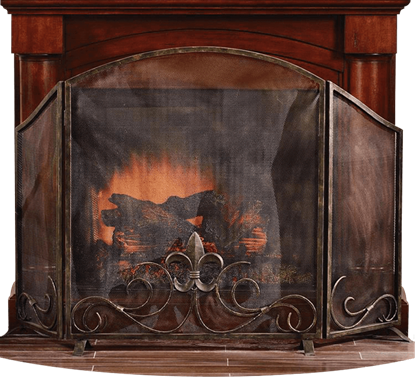 Whether or not a fire is lit with a cheery glow, the Fleur de Lis Fireplace Screen adds regal warmth to this feature of your home. Few elements of your home deserve as much attention as your fireplace. Whether or not a fire is lit in the grate, the Fleur de Lis Scroll Fireplace Screen adds elegance to this fine feature of your home. Few elements of your home deserve as much attention as your fireplace. 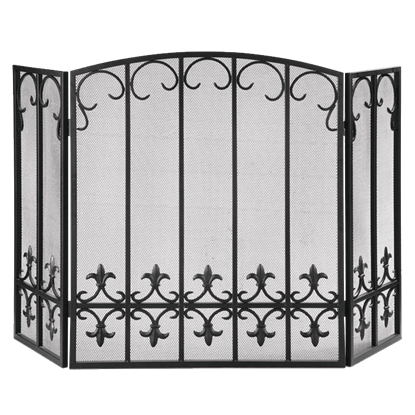 Whether or not a fire is lit in the grate, the Fleur de Lis Triple Panel Fireplace Screen can show off this attractive feature of your home.